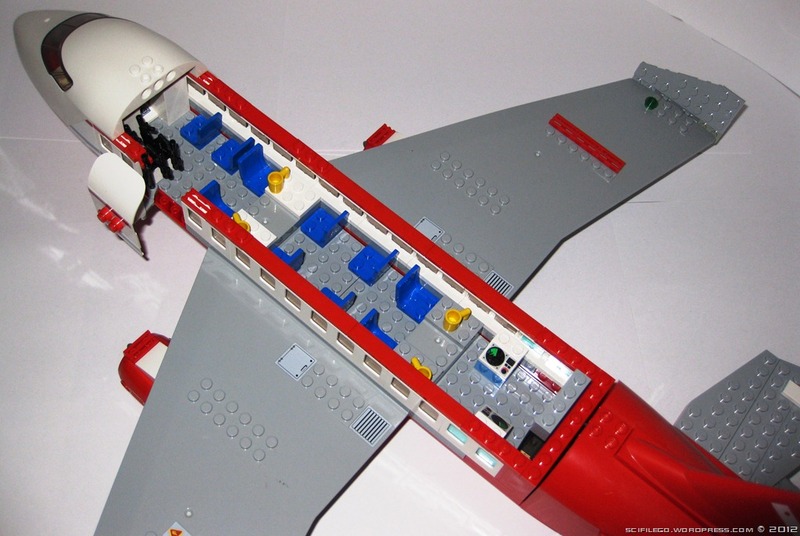 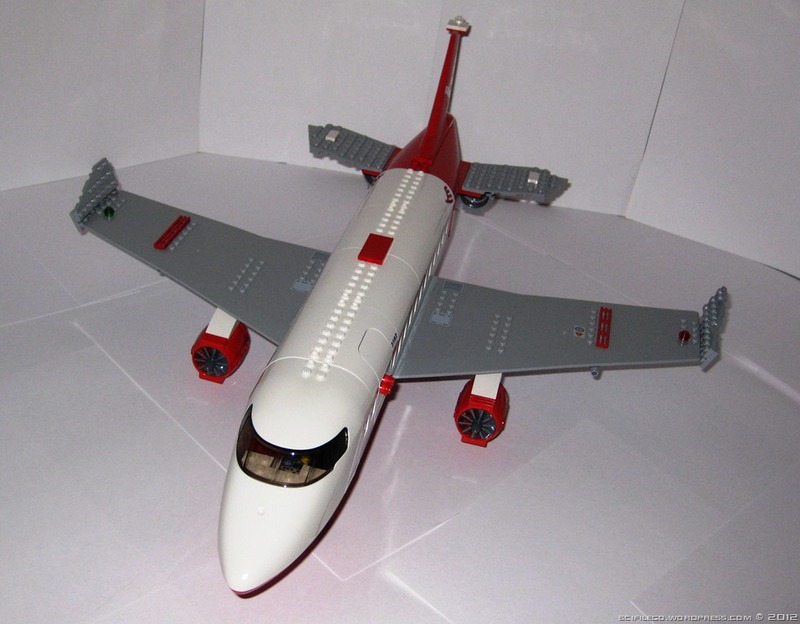 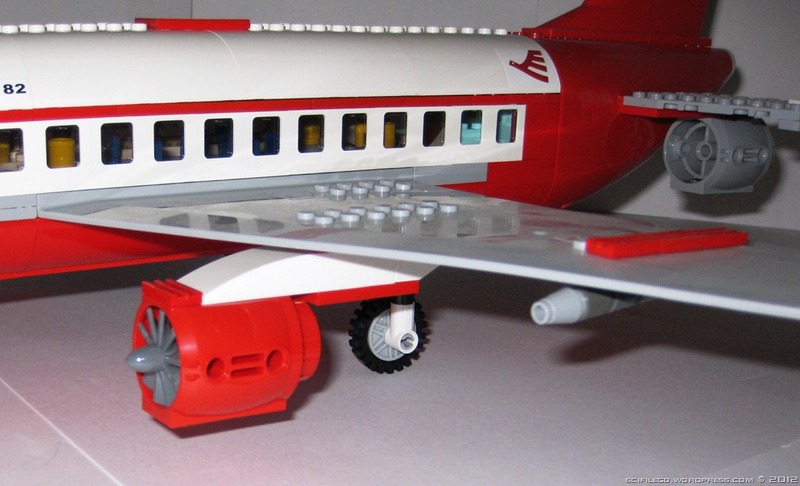 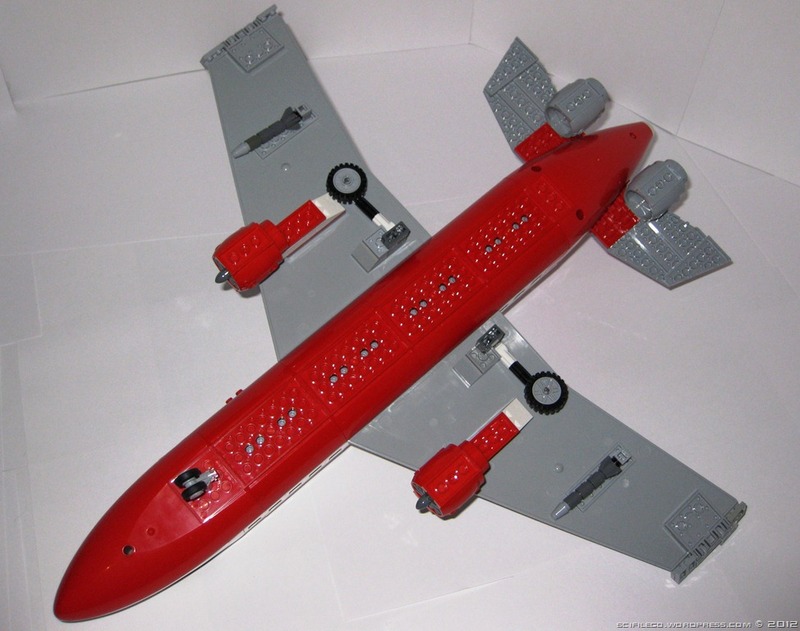 This is my modified version of the passenger jet I got in a lego set. 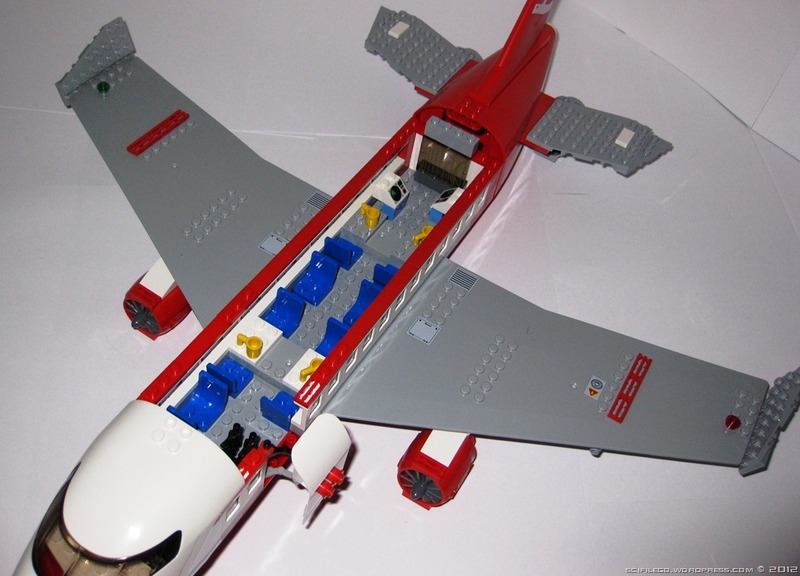 I added missiles, extra seats, an armoury, and a small tactical centre. 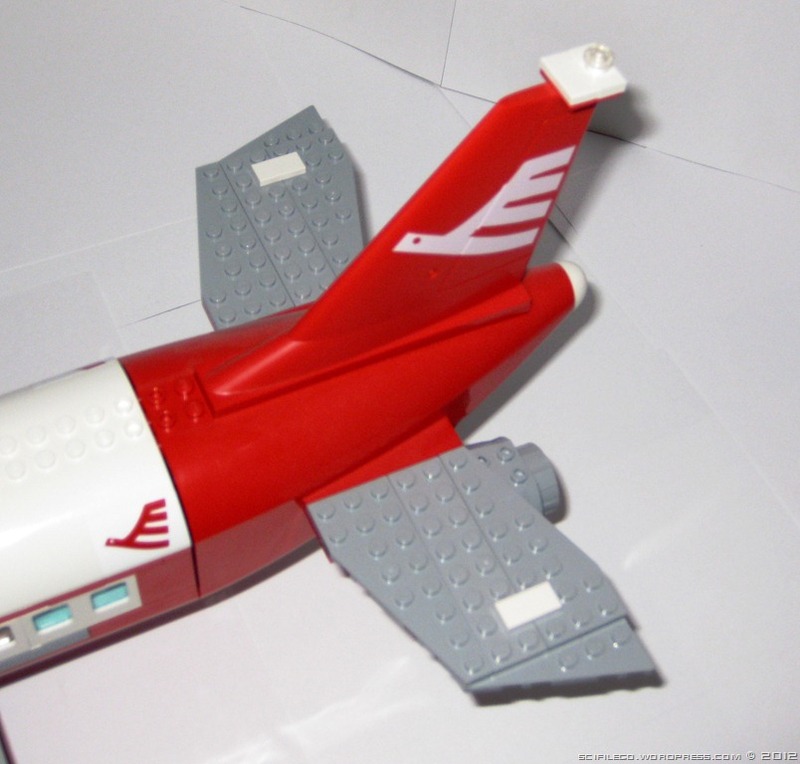 I also moved the wings back, replaced the ugly landing gear with retractable landing gear, modified the tail and added extra engines.